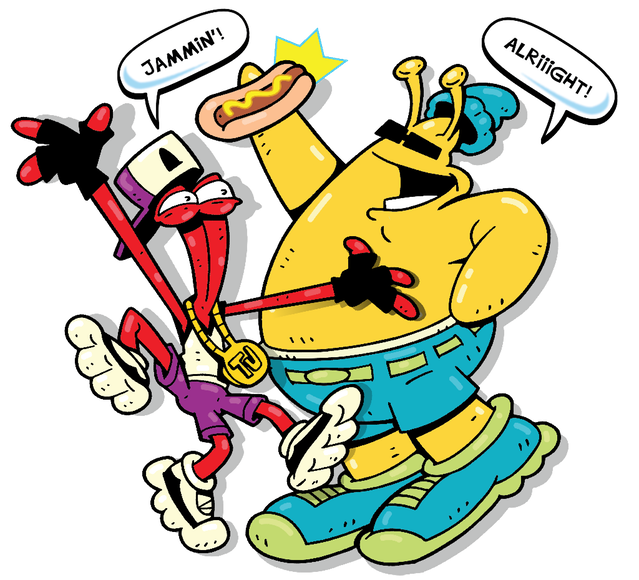 HumaNature Studios has revealed that Limited Run Games will be publishing physical copies of their upcoming adventure, ToeJam & Earl: Back in the Groove. Although the game will be coming out digitally for PC and all 3 major consoles, LRG will be responsible for touchable copies on the PlayStation 4 & Switch. An exact launch date hasn’t yet been set, however, the developer has proclaimed BITG will be out before the end of November. To celebrate the collaboration, LRG will be selling 500, special edition collectible ToeJam & Earl Genesis cases, filled with an 18×24 inch poster and a high gloss card set, to attendees of this weekend’s PAX West. This is all exciting news for series fans and collectors. 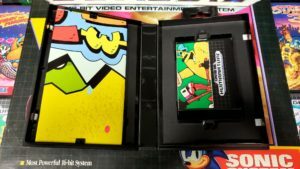 And, if you love the original 1991 release, you’ll be happy to hear (if you haven’t heard already) that this upcoming 4th installment will hearken back to the first game, with similar mechanics, a revisit of the original storyline, couch co-op, power-ups, randomly generated levels, and 15 original songs. That’s all we know about the physical release for now. Keep it tuned to Game Cuddle for future updates. Oh, and while you’re waiting, check out the humorous teaser trailer HumaNature Studios posted a few days ago, which gives a sneak peek at gameplay. (UPDATE 10/1: HumaNature Studios announced this week that TJ&E: BITG will be delayed until early 2019. An exact release date & more will be disclosed next month).